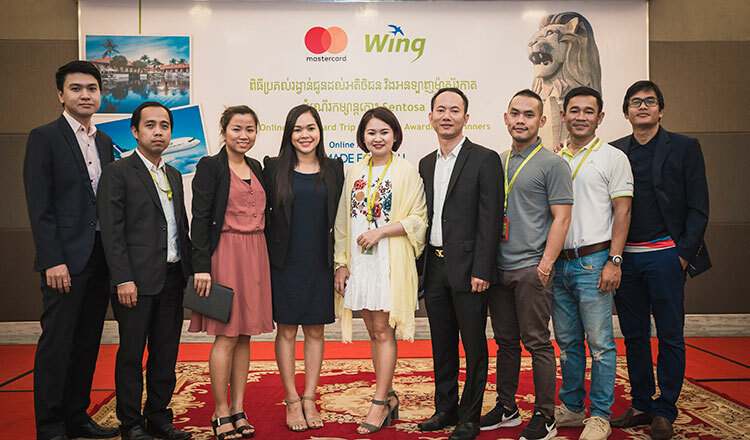 Wing (Cambodia) Limited Specialised Bank and Mastercard held an event last Friday to deliver grand prize to the three lucky winners who won the trip to Sentosa, Singapore, after processing payments via Wing Online Mastercard from February until end of July, 2018. 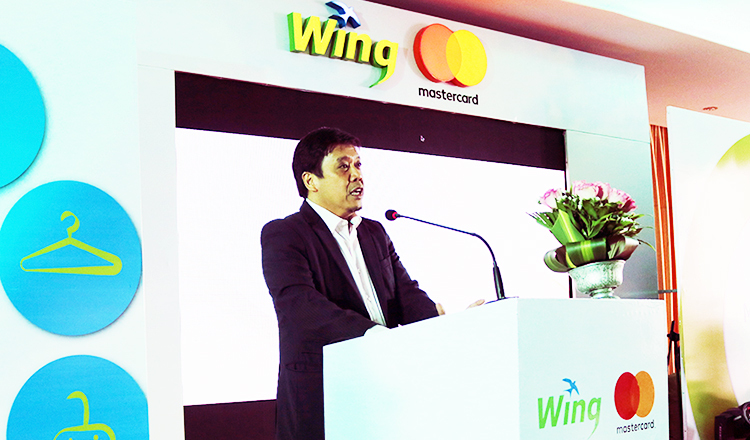 Mr. Jojo Malolos, Wing’s CEO, congratulated the three winners and he hoped more and more customers will continue to support Wing Online Mastercard since it is ready to announce the second promotion. 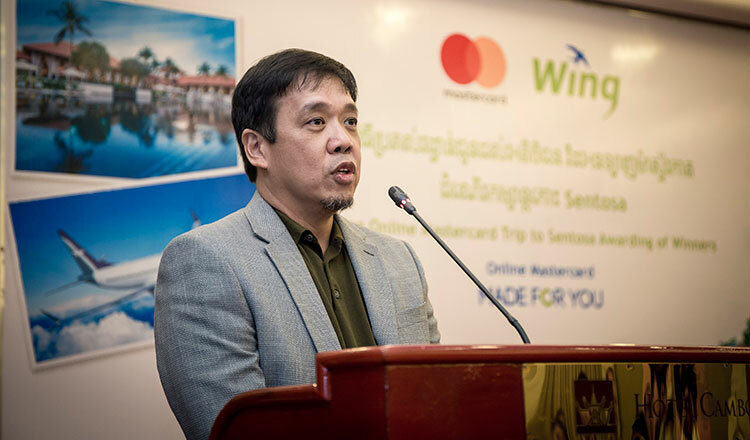 “We are now in search for the second batch of three lucky winners, each of whom would get a chance to receive a one night stay at world-class resort – The Royal Sands Koh Rong, together with a packed trip/from the resort, food and dining, and helicopter riding experience around the island,” Mr. Malolos said. 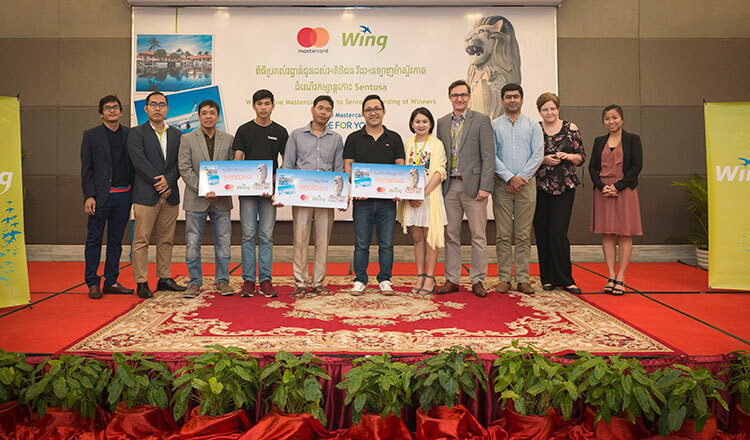 Mr Jojo Malolos, Chief Executive Officer of Wing (Cambodia) Limited Specialised Bank, congratulated the three winners. 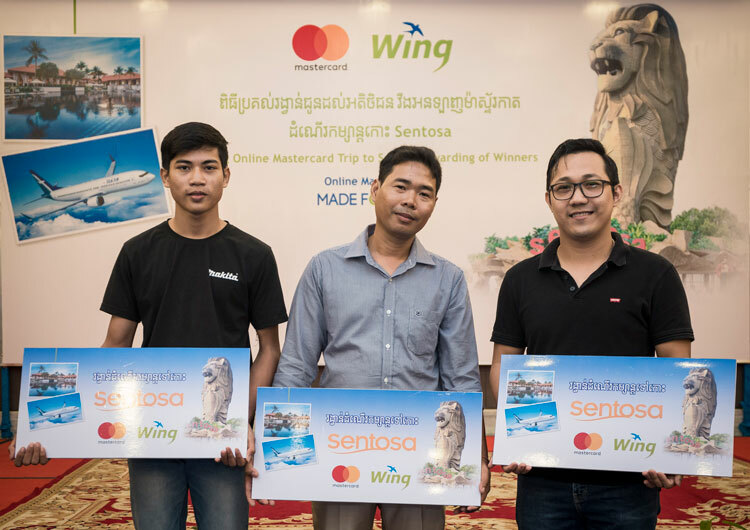 Three winners who won the trip to Sentosa, Singapore.